Renegade Rowing Team post Race! Will you be in this boat? Sign Up and join us July 17 @5:30am @CRI to tryout and join the team! What’s your goal for next week? What’s your goal for the month of July? What’s your goal for the Summer? How do you set and attack a Goal? The first step in preparation is goal setting. Goals provide direction and purpose. While it’s important to set goals at the beginning of the season, keep in mind that goal setting can be performed whenever we need to focus, to increase motivation, to decrease anxiety, and to increase confidence. Good goal setting involves a team vision, a mission, or set of values as the ultimate goal. 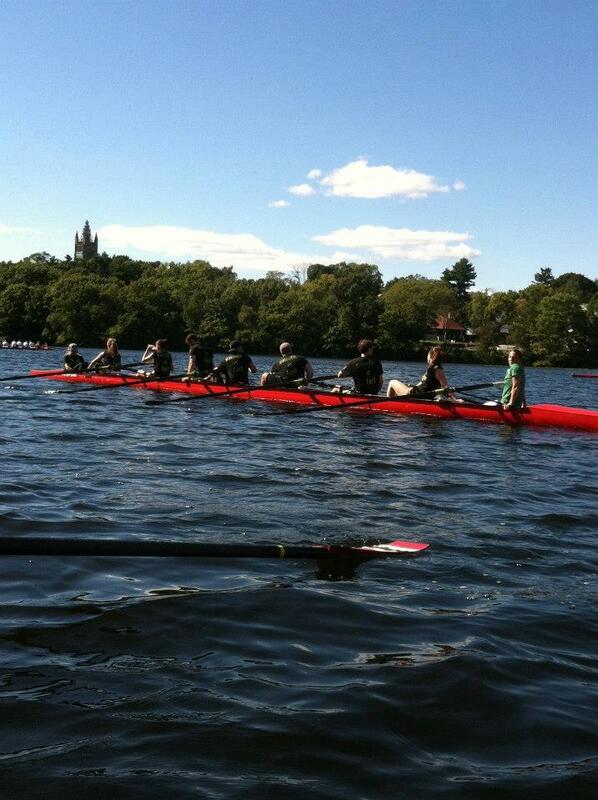 (The goal of the Renegade Rowing Team is to give rowers the resources, knowledge, and experience needed to compete on the water and in the gym.) After that there are both long-term and short-term goals. Last come smaller targets that when reached bring us one step closer to the long or short-term goals. When building the dam and setting goals it is important to remember there are two types of goals, process-oriented and outcome-oriented goals. A process-oriented goal would be getting body preparation by half slide or maintaining a tight midline through a squat. An outcome-oriented goal would be winning a championship or squatting 300 lbs. Our dam should be filled with both, but the more process-oriented goals the stronger the dam. Process-oriented goals will help us reach our outcome-oriented goals. Positive, specific, and controllable. Positive, meaning they “add” and “do” things instead of avoiding them. Specific, meaning they’re focused, tangible, and not vague. If needed they could be measured. Controllable, meaning it is up to us to achieve and manipulate our goals, not some outside force. We should have the power to affect change and control the goal. So, start setting goals. While you do, always ask, are my goals positive, specific and controllable? Post your goal for next week and your process to attack it to comments! This entry was posted in Motivation, Our Mission, Rowing and tagged endurance sports, exercise, health, inspiration, rowing, sports, training by Renegade Rowing. Bookmark the permalink.